Dec. 18, 2012, 12:49 p.m. The paper wants to extend its audience, and find new revenues, through producing original long-form stories from Times journalists. By Justin Ellis @JustinNXT Dec. 18, 2012, 12:49 p.m.
At The New York Times, book deals are not exactly a foreign concept. At any given moment, any number of Times journalists are at various stages of the book publishing process. Now the newspaper wants to capture a bit more of that creativity by producing timely ebooks with the publishing startup Byliner. The deal means the Times will publish around a dozen nonfiction narratives in 2013, in areas like politics, business, and culture, written by Times journalists and available on Kindle, iBooks, and Nook. The first book, Snow Fall: The Avalanche at Tunnel Creek, by John Branch, is listed as “coming soon” for $2.99 at the Times’ online store. The tale of skiers trapped in an avalanche in Washington spins out of a story reported by Branch set to appear in the Times. Newspapers have been dabbling in ebooks for a while now, with varying approaches and degrees of success. A number of newspapers use ebooks as a means for repurposing and repackaging their reporting for a different audience. But Gerald Marzorati, the Times’ editor for editorial development, said the Times will go beyond rehashing its reporting in ebook form and plans to develop original stories that will be exclusive to the platform. Revenue generated by ebook sales will be shared between the Times and Byliner. “The idea is to do 10 to 12 of these in the next year and see what works to some extent,” Marzorati told me. Marzorati’s job is an interesting one — “editorial development” could be rephrased as “find ways to make additional dollars off the editorial product.” Aside from ebooks, Marzorati oversees the development of conferences like the recent DealBook conference. Amazon has said it sold more than 2 million Kindle Singles in the program’s first 14 months, which may be another reason media companies want in on ebooks. Publishing ebooks is a right fit because it fits with the Times strategy of finding ways to make money, but also reaching out to new audiences on mobile devices as well as through apps like Flipboard. Marzorati said they decided to partner with Byliner because it would allow them to get the books up and running quickly. It also helped that Marzorati previous worked with Byliner cofounder Mark Bryant on Play, the Times short-lived sports magazine. Partnering with Byliner gives the Times a quicker glide path into Amazon’s Kindle Store and Apple’s iBookstore. Aside from working with individual authors, Byliner has also partnered with publishers like New York magazine and Esquire. Byliner splits the revenue with with its authors, though Bryant would not disclose the terms of the agreement with the Times. Bryant said publishers want to be able to use their brand and recognition to sell ebooks and reach new readers in a way that doesn’t require too much set up or additional resources. For the Times, the reporters and editors will produce stories and then hand them off to Byliner for formatting. “We’re marrying a kind of old-school group of editors with high standards to a new digital publishing effort and publishing community,” Bryant said. What make Byliner stories compelling for readers comes down to three things: Price, length, and subject, Bryant said. The length of a Byliner story is perfect for journalists, Bryant said, because it lets you expand beyond the constraints of typical newspaper or magazine writing. “It’s a matter of finding the right type of narrative that will flourish in that kind of space between magazines and books,” he said. Being timely and topical are two of the biggest selling points for any newspaper. That raises the question of why the Times would be publishing original, exclusive work for ebooks, instead of the paper and website. Marzorati says that won’t be a problem: In the same way reporters and editors decide which stories fit what sections or what kind of treatment, they’ll determine what will work best as an ebook. The Times will break news and plumb narrative features in the same way it always has, he said, but ebooks will be a new venue for reporting. POSTED Dec. 18, 2012, 12:49 p.m.
Ellis, Justin. "New York Times gets into original ebook business with Byliner." Nieman Journalism Lab. Nieman Foundation for Journalism at Harvard, 18 Dec. 2012. Web. 22 Apr. 2019. Ellis, Justin. "New York Times gets into original ebook business with Byliner." Nieman Journalism Lab. Last modified December 18, 2012. 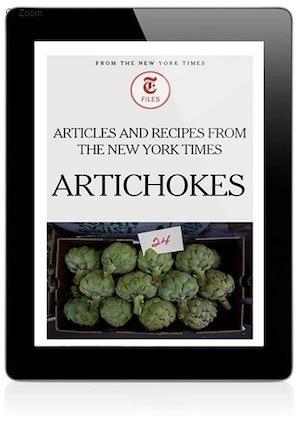 Accessed April 22, 2019. https://www.niemanlab.org/2012/12/new-york-times-gets-into-original-ebook-business-with-byliner/.